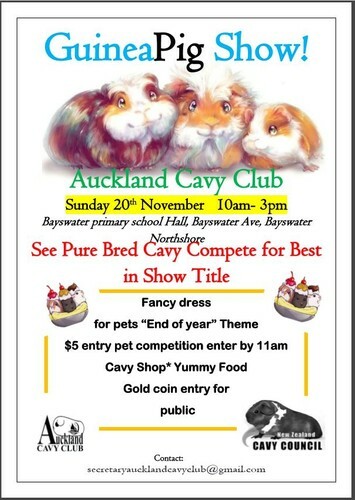 Auckland Cavy Club are Hosting their "End of Year Show" at the Bayswater Primary School Hall. There will be lots of purebred Guinea pigs being shown and judged. Also a Pet Show please contact secretaryaucklandcavyclub@gmail.com for more information.